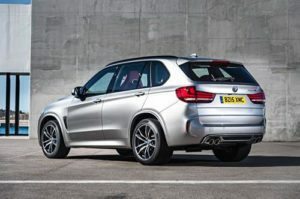 Looking for an objective review of the new BMW X5 Estate plug-in hybrid? OSV have got you covered, from engines to lease deals. The Hulk-like BMW X5 Estate is one of the biggest SUV’s ever made. With its sheer size, power and performance on offer, it’s like having your own personal bodyguard on the road. The only thing missing are a bullet-proof windows. 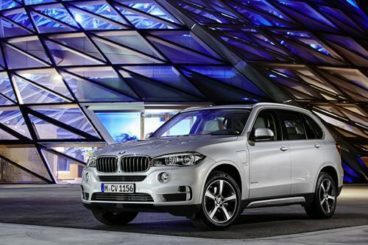 And just like Hulk, the X5 has a softer side – the cabin is inviting, gorgeous and supremely comfortable. Add in some top quality handling, lots of practicality and the option of a third row of seats, and this sporty SUV is well worth a test drive. OSV takes a closer look at what it’s all about with our 2017 BMW X5 Estate review. Despite tipping the scales at over 2,000kg, the X5 is actually lighter on its heels than its predecessor. As such, any worries you might have of plodding performance should be cast to the wind, as this is an impressively lithe machine. Body control is good, body roll is at a minimum, and the handling is sharp. There are downsides, of course – the steering feels a bit too artificial for a BMW, and while the size and the fact that it’s an SUV promises off-road ability, the X5 fails to deliver on this front. Moreover, the cabin isn’t as well-insulated as we’d like, and exterior noises do penetrate. The plug-in hybrid option is what we’re looking at closely in this article. This X5 xDrive40e plug-in hybrid model combines an electric motor with a 2.0-litre petrol engine to good effect. It covers the 0-62mph dash in 6.8 seconds, and can run on just electric power alone. Doing so will harm performance, but it will improve your fuel economy. The electric motor is good for 19 miles, before the petrol engine un-intrusively cuts in. Picking the plug-in hybrid variant won’t harm the way the big but slinky X5 drives. Ride quality remains relaxed and comfortable, and the car doesn’t feel any sportier than the petrol or diesel models. The suspension gets a bit firm at time, while the plug-in does start to get a bit restless out on the motorway. There is the option of 4.4-litre V8 petrol engine that powers the X5 50i model. It’s twin-turboed, smooth, and packs a punch. It depreciates badly, but if you’re prepared to live in the moment for the next three years or so, this is an engine that can even embarrass so-called performance cars with its turn of pace. It can get you from a rest to 62mph in less than 5.0 seconds, which isn’t too far off what the BMW M4 Coupe can manage. You can get an M Sport version of this car which adds more luxury, but standard equipment is good across the range. The only thing the standard car is left truly wanting for is adaptive suspension. That aside, the interior is a classy, well-built affair. The dash is visually compelling. It’s striking to look at, but despite this it’s also pleasingly well-organised in typically efficient German fashion. A 10” high-def screen dominates the dashboard, and this is where you’ll see the brands popular iDrive infotainment control system display its stuff, such as sat nav. The interior is also notable for its advanced tech, including a touch-sensitive pad that lets you easily spell out your commands. Other appealing features of the cabin include the raised, adjustable seating position which is good for visibility. There is a third row of seats available as an optional extra, but whether you add them or not will depend on whether you really need room for more passengers, or whether you need as much boot space as possible. Without the extra seats, the boot measures 650-litres, and can be expanded to 1,870 by folding down the rear seats. The third row of seats will diminish boot space, as will the hybrid model, which cuts it down to 500-litres. Overall, the cabin feels super spacious, and five adults will be able to sit in comfort. Headroom is good, even if you add the panoramic sunroof, while massive door bins and cavernous seat-back pockets make up the storage spaces. Standard kit in BMW’s is now so much better than it used to be. Among the equipment that comes with the initial purchase price is a DAB digital radio, Bluetooth connectivity, climate control, cruise control, and Driving Experience Control that allows you flick between different driving modes. Move up to the xDrive trim and you’ll get treated to a high-gloss trim, power-adjustable front seats, and twin exhaust pipes. The high performance M Sport, meanwhile, adds 19” alloys, a body kit, sports seats and adaptive M suspension. Standard safety kit is also good, and includes a number of air bags, traction control, braking assistance, and active cruise-control. It must be said, however, that if you do add the optional two extra seats, they don’t come with airbags. Prices for the new car start out from £45,000 and rise to £90,000. For more information on our leasing deals, you can check out our page here. In terms of its running costs, the X5 xDrive40e plug-in hybrid model is by far the cheapest to run. It costs nothing to tax, is free from the London Congestion Charge, and can return fuel economy up to 83mpg. However, 83mpg will be the ideal rather than the reality most of the time, and you’d need to plug the car in often to achieve such dreamy numbers. The X5 50i petrol model is by far the worst offender in the range when it comes to costs. Powered by a hefty V8 engine, it can return fuel economy of 29.4mpg at best and can cost up to £500 in road tax each year. Ride quality is excellent, and it’s even better if you add the optional adaptive dampers. The X5 50i petrol model demands silly money at the pumps, but the plug-in hybrid is capable of returning fuel economy over 50mpg. Sparkling might be seem like an odd word to use to describe an estate cars interior, but one glance inside here is all it took for us to be convinced. Advanced tech, striking designs and gorgeous seats make it really desirable. The interior is just as good as rivals for fit and finish, too. It’s a BMW, so you expect the handling to be better, but it feels a tad lacklustre. The petrols put more meat on the bone, but they’re pricey to run. Your best bet would be to pair up a 2.0-litre petrol engine with the electric motor in the hybrid model, but even that has its flaws. Let’s see how the car measures up against its plug-in hybrid rivals in the comparison section of our BMW X5 Estate review. The brand new Mercedes GLE Estate is the biggest SUV that Mercedes are offering right now. Despite being very much more Beast than Beauty, it’s still stylish and comes well-equipped. Its engine range is also well-stocked, and includes a plug-in hybrid that’s ideal for if you want to go green but don’t want to have to make do with one of the smaller EV’s that are populating the hybrid market. The plug-in hybrid comes paired up with an automatic transmission, as do all the engines in the range. You can choose from a seven speed or a nine speed ‘box, and both switch gears without any hassle. The 500e plug-in hybrid model combines a V6 3.0-litre petrol engine with an electric motor to good effect. Together, the pair can produce up to 443bp, and can get you from a standstill to 62mph in around 5.3 seconds. If you prefer to cruise in electric mode-only for a while and save some cash, you can reach speeds up to 60mph. 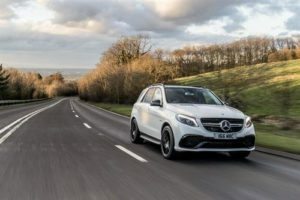 Other engines in the range include 250d and 350d diesel models that are both capable if noisy, as well as a rip-roaring 63 AMG model that’s backed by a monstrous 5.5-litre V8 engine. The standard suspension setup is good if a little bit on the firm side, but the optional air suspension is better. Switch to comfort mode and you’ll find that the GLE Estate is very good absorbing even the nastiest lumps and bumps, and it’s really only once you switch to Sport mode that you notice a firmer ride. As expected, the hybrid returns the best running costs, and with fuel economy returns of over 75mpg, it’s a very tempting proposition. And while it isn’t exempt from the London Congestion Charge, it is free from road tax. Inside, the 2017 Mercedes GLE Estate is well built and oozes luxury, with the German brand working hard to bring the car up-to-date with what its rivals are doing. The dash is solid and we can’t fault its fit and finish, but in terms of overall quality and design it’s not quite up there with the likes of the S-Class and C-Class saloons. One problem the hybrid model has is that it’s a bit more impractical than the standard models. Thanks to its batteries, the GLE’s boot capacity shrinks from 600-litres to 480-litres. Moreover, it isn’t as strong a tower, and can only two weight of up to 2,000kg. The 350d model can tow weight up to 3,500kg. 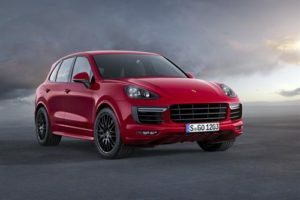 The new Porsche Cayenne is Porsche’s best-selling car. Quite remarkable for a car that critics weren’t so sure about when it was first launched. Its success has hinged on both its incredible performance and practicality. In terms of its performance, exactly what you manage to draw out of it will depend on which engine you go for. The hybrid model (which combines a supercharged V6 petrol engine with an electric motor) is cheaper to keep on the road than any other engine, but it adds more weight to the car, which keeps its 0-62 time stuck at 5.9 seconds. Certainly, that’s not bad at all, and in just electric mode the Cayenne feels smooth. But the Cayenne S dos 0-62 in 5.5 seconds. while the GTS variant does it in 5.2 seconds. The latter also comes with a sports exhaust for additional thrills and spills. These petrol engines are not what you’d call sensible choices, however, especially when it comes to running costs. The S E-Hybrid model can return fuel economy of 83.1mpg and is free to tax, and can also travel up to twenty-two miles on electric power alone. For this reason, it’s our top pick. Inside, the Cayenne is a well-appointed, luxurious affair. The seating position is quite high, but the dash wraps around you well. The leather seats are supportive, comfortable and hold you in place solidly enough, while the switches are gorgeous and the cabin is sturdy and well-built. We’re not too keen, however, on the overly-fussy dash. There are just too many buttons. Unlike the Mercedes, the hybrid version can tow the same amount of weight as the standard models. Better still, the battery pack is tucked away better and doesn’t eat into as much boot space. You still get over 650-litres of load capacity, but you will have to do without underfloor storage. The X5 has been around for a while now – since the 1990s, in fact. Being the brands first ever SUV means it’s a tried and tested car that knows what it’s doing. Its spell as the dominant force in this sector is over, but despite rivals catching it up, it continues to blaze trails with its blend of power, performance, design, and fit and finish. In terms of driver involvement, it isn’t the best. However, taken as a whole, the new BMW X5 Estate is a well-built, imposing, practical and fierce executive SUV.